Founded in 2006 and based in the city of Queretaro, in the centre of Mexico, 1870 (or MIL OCHOCIENTOS SETENTA) is a one of a kind proposal where chamber music meets improvisation, delivering a complex yet unconventional state-of-the-art sound. All members are well known musicians who have participated in different symphonic and chamber orchestras in Mexico, currently being permanent members of the Queretaro Philharmonic Orchestra. Al compositions comprised in the band's debut release "Mitos de una Resurrección" (november of 2008) are inspired by the groundbreaking poetry of Isidore Lucie Ducasse, a.k.a. Count of Lautreamont: the repertoire is set to describe the poet's state of consciousness which leads to the creation of dark, anguished atmospheres. The band's sound is intimately linked to groups like UNIVERS ZERO and ART ZOYD (both early eras), as well as the compatriot RIO precursor band NAZCA. The use of digitally processed backgrounds and minimalistic atmospheres bring connections to old-school electronic krautrock and the tradition of musique concrete, not unlike compatriot electronic avantgardists such as OXOMAXOMA and ALQUIMIA. 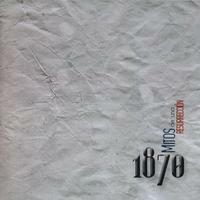 1870 is recommended to all avant-prog lovers, especially those who are particularly receptive of new, emerging ways of continuing the legacy of old-school RIO and chamber-rock. A big thank you to Juan José Salas of Luna Negra for the main info. A very good debut album by this peculiar band, though after several spins I have to say I am more into their second album (Pogo), however their developed sound is worth listening and recommending, mostly to those who like raw and crazy experimental music, with avant and chamber tendencies. My final grade will be three-stars. In Mexico we really have talented musicians creating original music. 1870 is a clear example of it, their four members are trained guys who have been involved in the musical realm for several years, some of them have played with avant-garde ensembles or even orchestras, so definitely the music shared by 1870 has to be well qualified. Ok, they started as a band some years ago and so far have released two albums, being "Pogo y 4 historias de horror" the second one. It features six compositions, some inspired by Lautreamont's Les Chants du Maldoror (actually the name of the band is the year Lautreamond died), and Guy de Maupassant's The Horla, making a total time of 47 minutes. Avant-prog, chamber rock, RIO, experimental music, may be some of the adjectives to describe the music this band offer, and though I like it and love to spread the word, I have to warn you that this is not music for everyone, it is not easy to dig at all. The album opens with "Canto Tercero", with almost ten minutes of a feast of French horns blended with electronic elements, giving as a result a good classical-modern-electronic-RIO, pardon my description. We can appreciate also the voice of Gustavo Albarrán, leader of the band who in moments represents parts of the literature of those two authors. The music is great, creating several passages, images and oniric landscapes. "Romance de la muerte de agua" is a wonderful track that lead us to obscure passages, tense atmospheres that may scare you if you are a sensitive person. However, at the same time you can find the gates to a inner-peace in your inner unknown world, hope you get me. Though they play with three horns and an oboe, it is amazing the quantity of nuances they produce with those instruments, the sound is never repetitive nor boring, it is actually hypnotizing, very interesting if you are a person who wants to explore yourself in-depth. "Líquido" has an inherent liquid sound, the sensation of that element is persistent in the whole song, though most of the time it seems someone is drowning, or making odd experiments with it, there is also tension and nervousness here, some chaotic landscapes produced by the horns and complemented by the electronics. "Pogo" is the longest track, and maybe the most difficult to listen to. It produces a sound that may touch your nerves and, its repetitiveness in some moments might make you despair and feel it as an unbearable track, honestly, it happened to me the first time I listened to it, I had to give it 4 or 5 spins before I got used to it, actually. The electronix work here is fabulous, though once again, not for everyone. The two last songs are held under The Horla's name. First part "2 de junio" has much calmer mood, with the winds playing far, while a tambourine appears constantly and some electronic effects produce that permanent tension. "La danza de Maupassant" is the shortest track of the album, four minutes of a brief example of what 1870's music is about. Great album, another example that music and literature go together, and a slice of this peculiar Mexican group. Final grade, 4 stars. Mexican quartet 1870 was formed back in 2006, all members experienced musicians with a past and present history as members of symphonic and chamber music orchestras. They made their debut in 2008 with "Mitos de una Resurrección", and "Pogo Y 4 Historias De Horror" is their sophomore effort, released on the Mexican Luna Negra label, and distributed by Musea/Gazul Records, Azafran Media and ReR Megacorp for their respective territories. 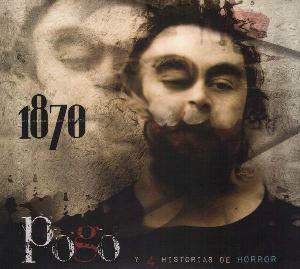 Mexican quartet 1870 has produced a highly innovative album with their second CD "Pogo Y 4 Historias De Horror", an uncompromising and unpredictable blend of classical music and electronic effects, exploring a musical landscape fairly dark and brooding but with occasional bursts of jubilant and energetic inserts. Fans of bands like Univers Zero and Art Zoyd have been described as a core audience by others; personally I'd estimate that those with a dedicated interest in experimental classical music might be just as good or an even better target crowd for this particular disc, as well as anyone with a dedicated interest in music that merits the description innovative. 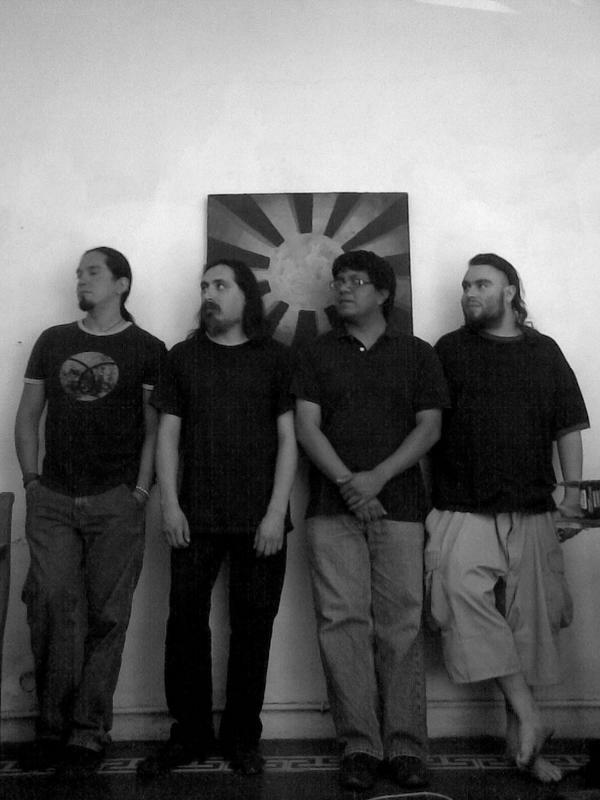 1870 (Mil ochocientos setenta in letters) is the year of Count of Lautreamont's death, and it is also the name of this Mexican avant-prog ensemble who have just released their debut album "Mitos de una Resurrección" in November 2008. This is a concept-album based on Lautreamont's poetry, and since this guy was a true pioneer of modern avant-garde literature, it only makes perfect sense that a band devoted to the dark, challenging meanderings of RIO and chamber-rock traditions should be in charge of this sort of musical enterprise. The Francophone schools of early Art Zoyd and early Univers Zero, as well as compatriot RIO pioneering ensemble Nazca are strong inspirational figures for 1870, but definitely this band can also instill a contemporary trend of their own with their gusto for electronic sources of deconstruction and panache for academic minimalism: these former options are clearly noticeable in the important presence of synth layers and digital ornaments in order to state a weird dynamics of tension and mystery. There are moments in which 1870 seems happy to leave the habitual standards of chamber-rock and turn their heads into the uneasy textures that we take fro granted in Kluster and Oxomaxoma albums. 'Puerta Abierta' opens the door for us to enter this occasion for a different aesthetic experience through an exquisite fanfare that soon enough expands into a dissonant architectonics. From minute 3 onwards, the disturbing nuances come to the fore and dominate the track's last section. The segued follower 'Canto Primero (Quiera el Cielo.)' brings a lovely landscape of pure sonic disconnection. The madness in there is enhanced by the falsetto that emulates a demented child (Dadaistic unrest?, surrealistic humor?, both? ), and later on, by a tortured oboe solo that, in its solitude, generates a Spartan delirium with harsh passion. 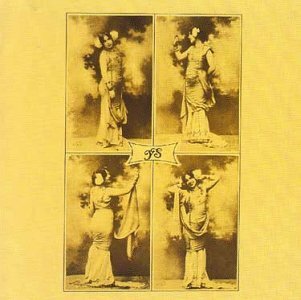 This is cerebral music, of course, yet sensitive to the concerns of the human heart from its abstracted stance. The next piece is the namesake one, occupying a 12 ¾ minute span. If you thought you already knew the most outrageous side of 1870, you weren't precisely right - now it is when the real deal begins to show unabashedly. The digital sonic displays oscillate among the industrial and the cosmic, with the woodwind and brass layers clothing the melodic potential with a mesmeric use of minimal traces. 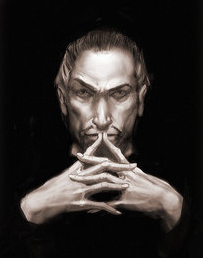 At some point, the use of percussive resources states a pulsation that softly augments the mysterious darkness that by now reigns supreme. 'El Ceremonial' goes on emphasizing the industrial element and takes it to a weird climax via the combination of cacophony and chaos on multiple synths. When the Cor Angalis and French horn enter in, an interesting struggle begins between these wind instruments' autumnal connotations and the persistent pulsating set of electronic keyboards. Right before getting at the 7 ½ minute mark, an interlude of piano, theremin and horns gets in to bring a transition toward the intense finale. Now you really know 1870! 'Canto Segundo (Allí, en el Bosquecillo.)' resumes the minimalistic approach and incluyes some recitations. The gradual climax extended through the track's final 2 ½ minutes feature a compelling call for the hermaphrodite to never wake up. 'Una Vendetta' closes down the album wit hs sort of recapitulation of the prevalent moods in tracks 1-3. The wind ensemble shines like never before in the album, alternating languid and playful passages at ease. The track's second half consolidates the installation of various momentums of neurosis and creepiness, ultimately arriving at an electronic coda pretty much a-la krautrock. "Mitos de una Resurrección" is a solid work of avant- prog for the new millennium: the work of 1870 is not one I would recommend to the regular prog fan, but it is something to be deeply cherished by the true lover of the weirdest kinds of avant-garde and free form music. Thanks to cesar inca for the artist addition.